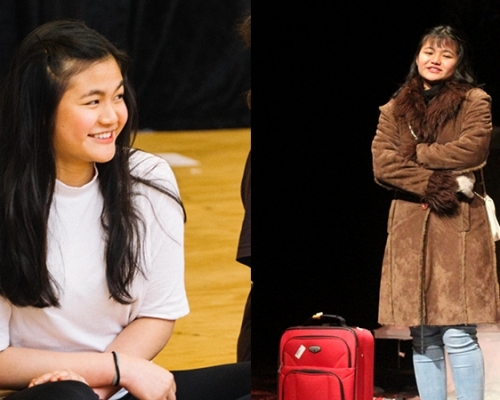 Through direct engagement programs like MTC Ambassadors and the Betty Amsden Youth Scholarship Course, MTC Education provides enrichment opportunities for young people to connect with our artists and staff beyond seeing a live performance. 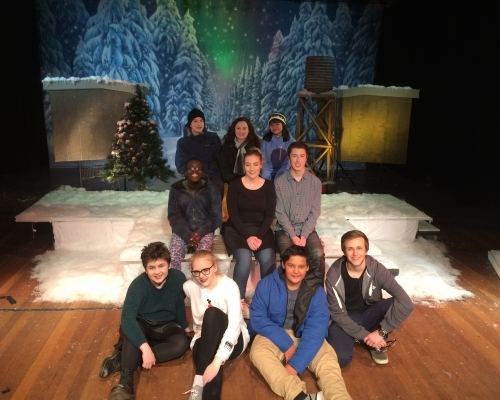 For three Werribee Secondary College students, their journey through MTC scholarships and workshops has led them to roles on stage in Almost, Maine with Wyndham Theatre Company. Laura Roberts and Alaine Beek, Werribee Secondary College staff, have nominated their students for several MTC Education programs over the years. 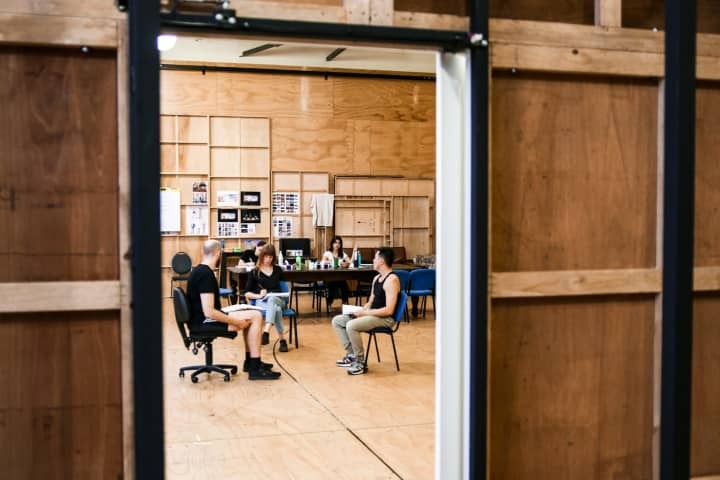 The cast of Almost, Maine, including three MTC alumni, is a testament to the skills they have nurtured and pathways they have forged. and on stage in Almost, Maine (right). Chelsea Moore with teacher Laura Roberts (left), and on stage in Almost, Maine (right). 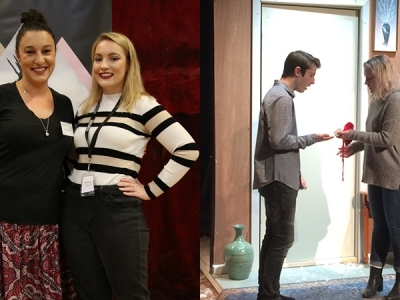 Chelsea Moore participated in the 2016 MTC Ambassadors program, and whilst she has always enjoyed performing, her teacher noticed that this program really fostered her passion for the theatre. 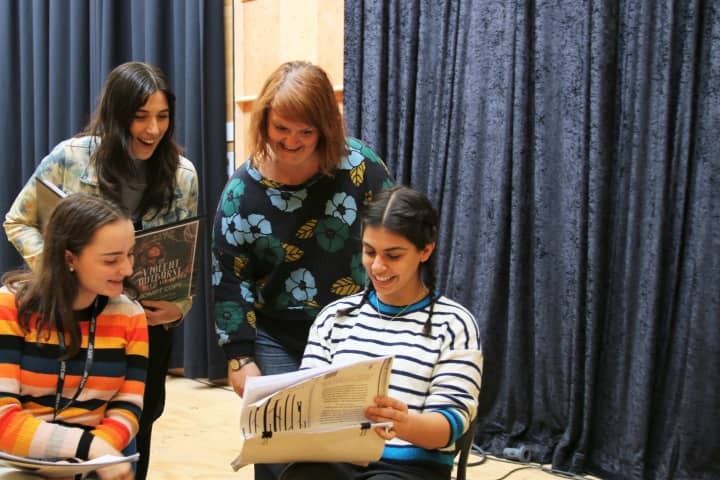 ‘Being exposed to a variety of theatre experiences has provided Chelsea with the opportunity to be able to discuss her thoughts and opinions about the theatre in a confident way,’ says Laura Roberts, Head of Drama. 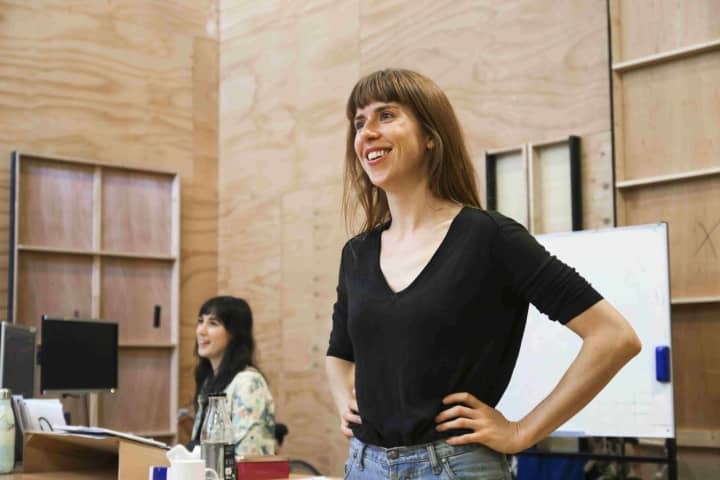 ‘I’ve also noticed that these experiences have enhanced her acting abilities as she’s seen so many wonderful performers over the last two years.’ Laura describes Chelsea as a standout in Almost, Maine, commenting that her mature acting choices enhanced her three scenes, enabling her to create three distinct and complex characters. David Iheakor at MTC HQ with for the 2016 Youth Scholarship Course. 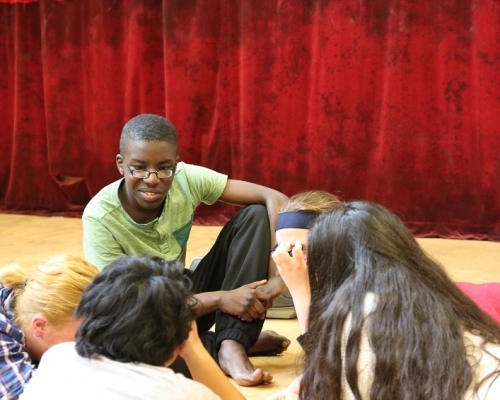 As David’s drama teacher, Laura has noticed that he now takes more risks in his performances, courage she attributes to the Youth Scholarship Course. ‘David is moving away from simply comedic characters,’ says Laura. 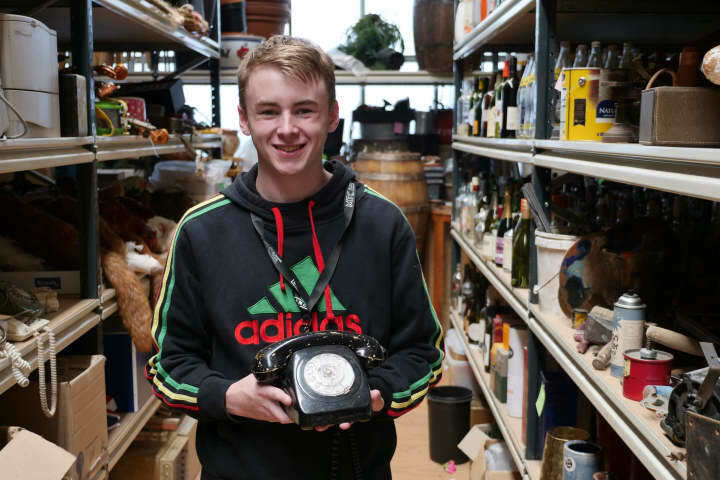 ‘His performance in Almost, Maine was strong and his character developed dramatically from the beginning of the rehearsals to the final performances.’ David said he particularly enjoyed the challenge of speaking in a different accent while performing. The cast of Almost, Maine. Almost, Maine received a special Adjudicator’s Award at the 2017 Victorian Drama League Awards. MTC gratefully acknowledges the generous support of the late Betty Amsden AO DSJ, the Lord Mayor’s Charitable Foundation and the Lady Mayoress’ Committee, for their support of the 2017 Betty Amsden Youth Scholarship Course, as well as the MTC Youth Ambassador Giving Circle for their ongoing support of MTC Ambassadors. To learn more about MTC Education programs visit our site.